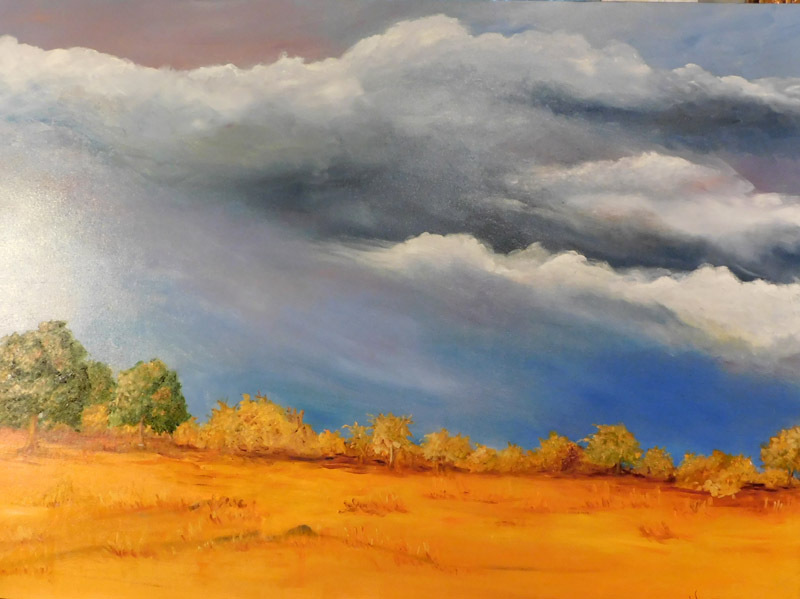 I was inspired by a photo from a friend of a beautiful African scene after a storm. The sky was still with a beautiful rainbow. I decided to capture the light on the land but to change the sky to something more dramatic.